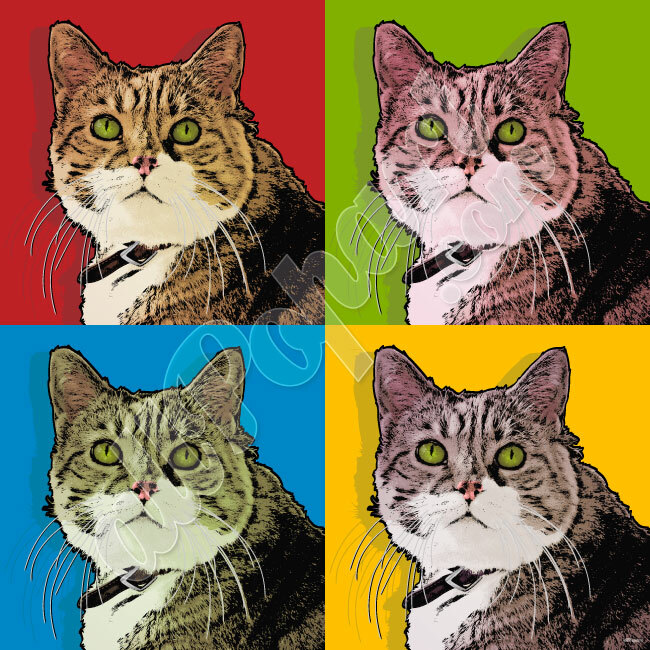 So remember when I told you we were getting an Warhol-esque picture done of Sybil and you helped me choose which picture? We finally ordered it and got the proof. Can’t wait till it gets here! Which unfortunately will not be before the party because we waited too long to order it. Why, hello! Long time, no chat. I’ve been busy in sleeping in my bed, in my bedroom, in my house, in my neighborhood. Totally awesome. This will be kind of long, so bear with me. We need to catch up. I’ll keep posting for a few more weeks with some wrap up posts. First things first, we are having a House Re-Warming/Open House party next Saturday, Sept. 24th from 3 pm – 11 pm. Stop by whenever you can and for however long you can. 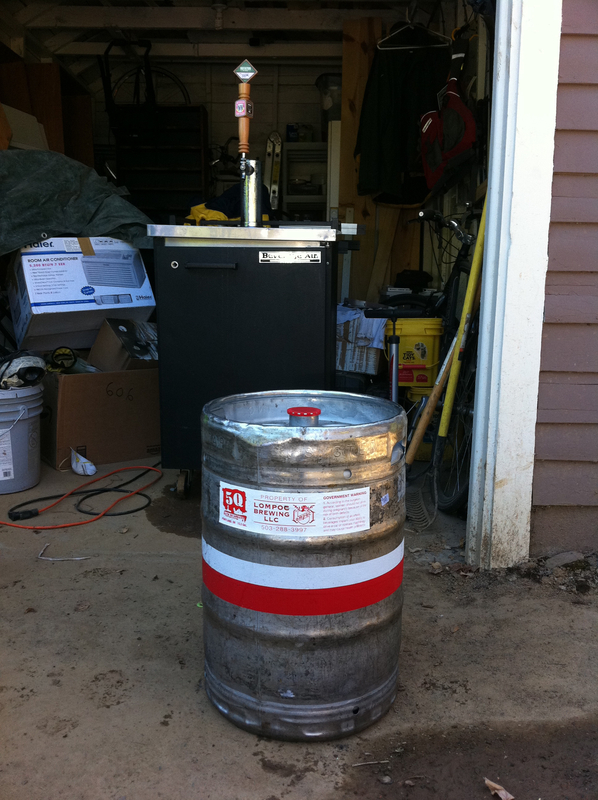 We’re getting a keg (Ninkasi IPA or Lompoc C-Note — any preferences?) and making pizzas. Send me a message if you need the address. 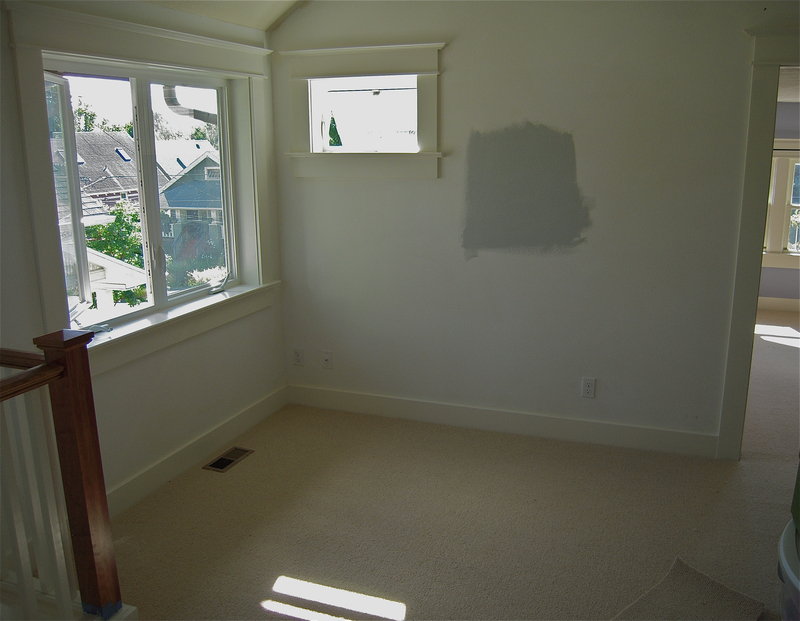 At 3 pm today, the last remaining room, which thus far had resisted the enemy paintbrush throughout the Summer 2011 Campaign, fell, on this, the intended last day of painting. Yes, that’s right. We repainted the ENTIRE house. The last room was the downstairs bath, which shed its Pearl White/cruddy walls in favor of Devine Steamer. The bath is still cruddy, but it looks slightly better. Painting is done, other than some touch-ups and a second coat in the aforementioned bath. The kitchen is now blue (Devine Storm), the dining room is a darker red (Metro Paint in Barn Red), and I can’t remember what else has been painted since we last spoke. But we are very close to packing away the paintbrushes for a long, long time. From Mellow Yellow to Moody Blues. Ignore the mess -- we're still unpacking. We’re still settling into our new space. I didn’t think the rooms themselves had changed that much until we started putting things away. Lots of old spaces no longer exist, and we have new better ones in their stead. The best part of the new house? The Shower to End All Showers. It’s the best shower I’ve ever showered in. Including the one at the Mandalay Bar Spa where I have been known to shower 4 times in one day. Ahhh. I know what else is new. 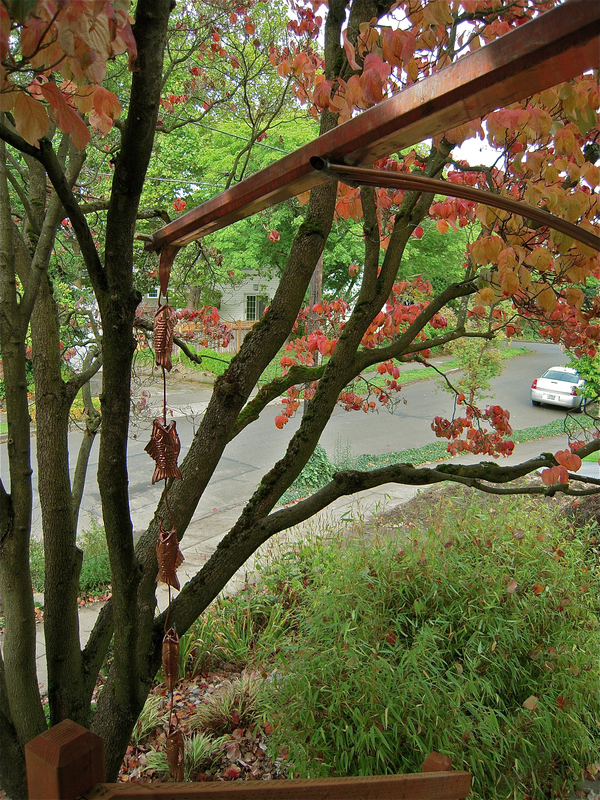 We got a custom copper gutter-downspout-thingy, which turned out really cool. 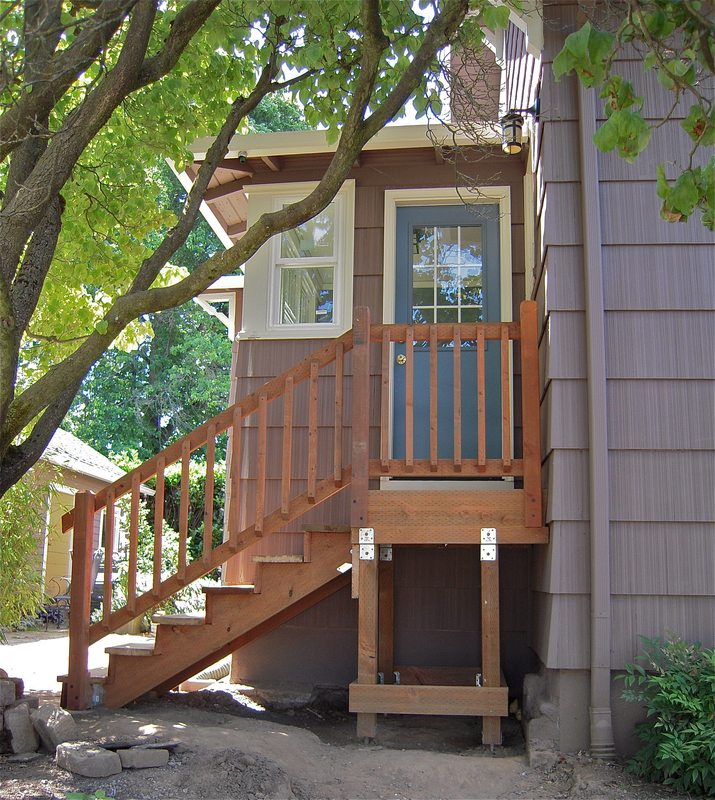 The back stairs interfered with the existing downspout, so we needed a way to divert the rainwater to the far side of the stairs. We had a fancy downspout extender built, with curved copped pipes to support it over the stairs. It ends in a fish rain chain. I don’t have any pictures of it but will post some next time. Eeek, sensory overload! Must hide! The cats are very happy to be back home. Lots of chatter from them. Arnold gets overstimulated, so he’s had to remove himself from the activity in order to sleep. 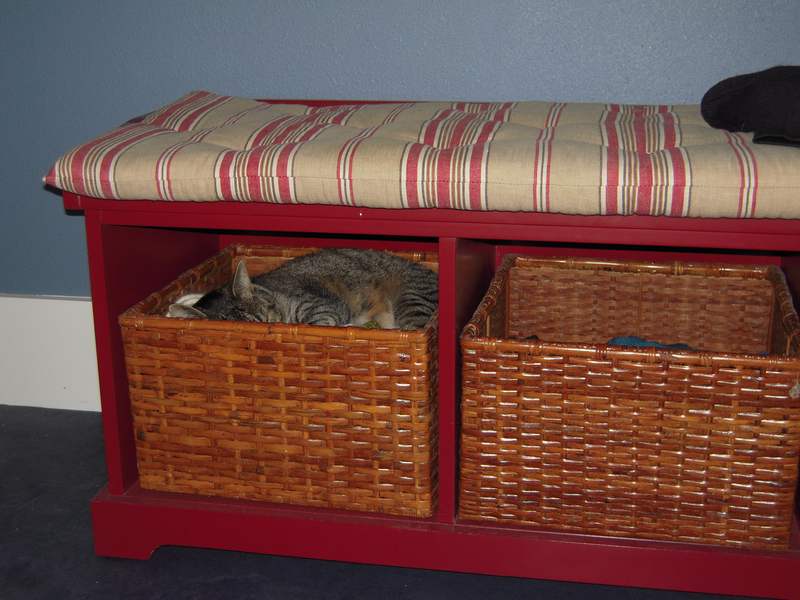 One of his hiding places is the baskets in the mudroom bench. Mikey likes all the windows and attention. He’s a flopper. 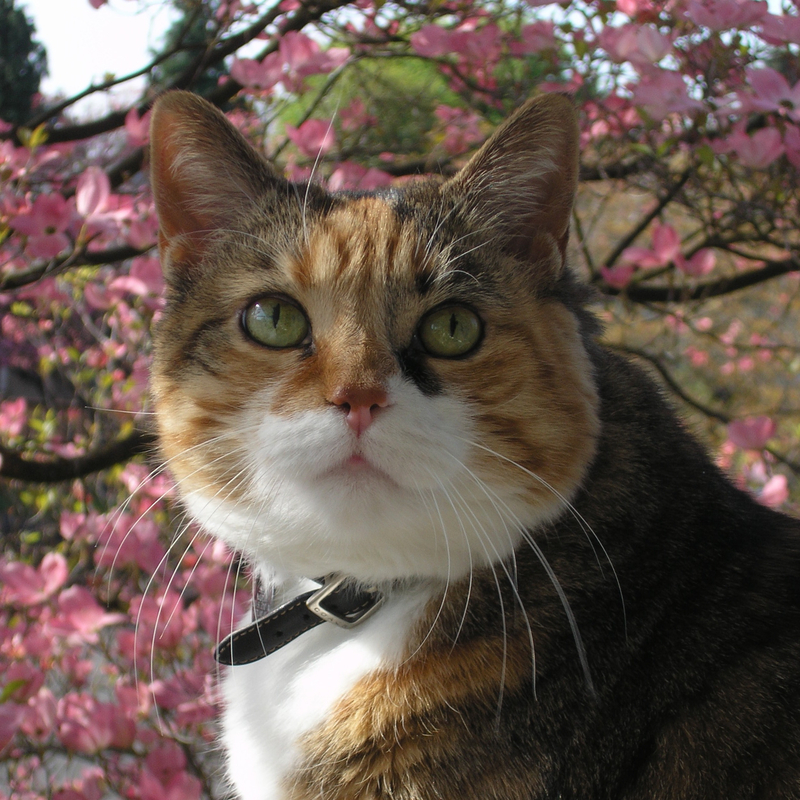 They both like the many circular pathways through the house now — endless running in circles and chasing each other down. Alrighty, onto the main topic of the post. When you tell people you’re doing a remodel, they delight in telling you horrifying stories about projects than went went over schedule and budget. Really reassuring. So common questions we got were, how far behind schedule were you and how far over budget did you go? I will attempt to answer those here. This one is easy. The general contractor came in on time or faster. In fact, if we needed to move back to the house earlier, I believe we could have. Some of the last tasks were drawn out because we had to wait for the shower door and M’s back stairs to be completed before final inspection anyway. When the contractor bid the project, they estimated it would take 20 weeks. They added 3 weeks padding to the schedule in setting our start date at March 28th to be sure to be complete in time for our firm September 4th move back date. After hiring the contractor, the project manager put together a detailed schedule, and he estimated 18 weeks total, which ended up being about right. No regrets on the extra padding in the schedule. 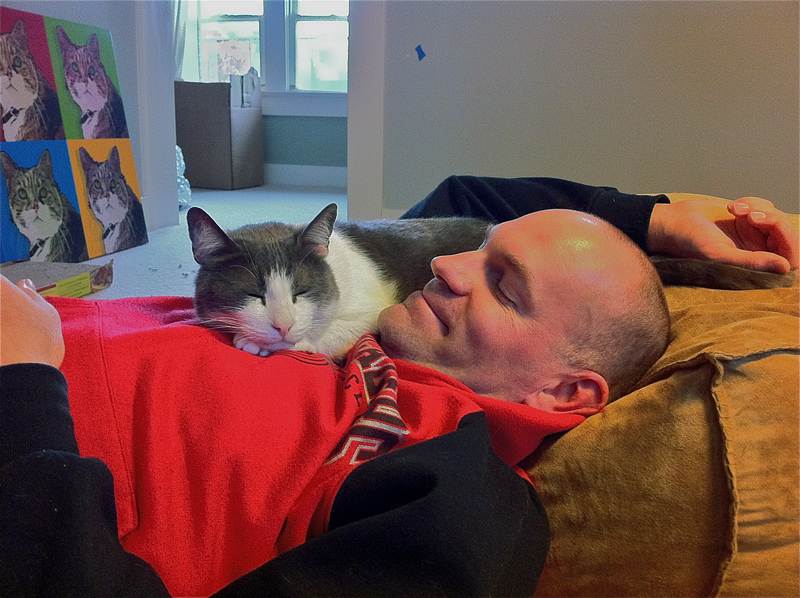 Despite what you hear about projects running over, there was no stress that we would not be homeless when our housesitting gig ran out. 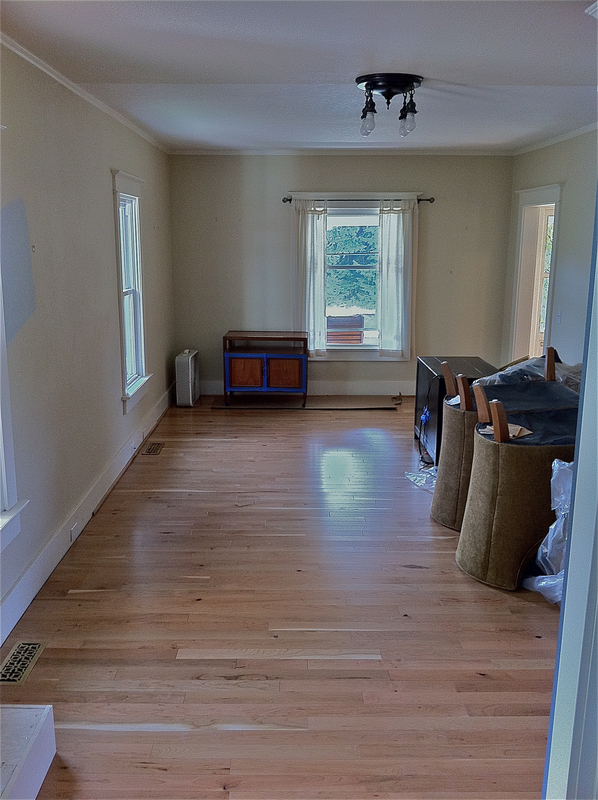 In addition, as you may have surmised, we greatly underestimated the time we needed for tasks we were responsible for following the contractor’s completion: cleaning, paining and moving back in. So the extra time was actually a very, very good thing. And both of us hugely appreciate that our contractor understands that staying on schedule is of paramount importance to the homeowner. This one is harder. Technically, if you look at the budget we told our financial planner and architect, we were over budget before we started. To be fair, that number was somewhat plucked out of the air, and through the bid process, we learned that 3 out of 3 contractors thought our project would cost significantly more than the budget number. After that, we scaled back and removed some things from the contractor’s statement of work. Ultimately, the initial contractor’s bid we signed onto was approximately 8% over our initial “thin air” budget. This did not include many of the materials that we planned to source ourselves, like the tile, wood floors and carpet, architect fees, and moving and other additional expenses caused by being out of our house, so we knew the true spend would be much higher. For the most part, we managed those additional expenses (other than the wood floors) in our normal cash flow, after drastically cutting all other categories of spending, other than apparently eating out. That’s what we expected (or hoped) would happen, so I’m not counting those against our budget. In some cases, we paid for these expenses before work even started on our house (e.g., most of the architect fees were incurred in 2010), so it was pretty well spread out. Everyone talks about the dreaded change orders. Maybe our contractor was better at communicating than others, but I didn’t find these to be all that bad. These were largely changes we consciously decided to make, like changing from a bathtub to a shower or doing more cabinetry than originally anticipated. A couple were unexpected things with the house, like repairing the foundation, but we knew our house well enough to be mentally prepared for that (and, looking back, I thought there would be more in this category than there was). There does get to be a point where you get tired of a few hundred dollars getting added to seemingly every sub’s final bid, but it really wasn’t that bad considering that the initial estimate (done 8 months ago at the time of the overall bid) has to make a lot of assumptions about endless details that we hadn’t yet decided. All told, we had 5 change orders, which raised our original not-to-exceed ceiling by about 18%. However, our contractor came in under budget, so we actually spent 95% of that. There you have it. On time? Yes. On budget? Since our debt load is more-or-less as expected, I’m going to say yes. Yes, it’s time for The Final Countdown. No, not Gob’s magician act from Arrested Development. No, I mean The Final Countdown to moving back in. 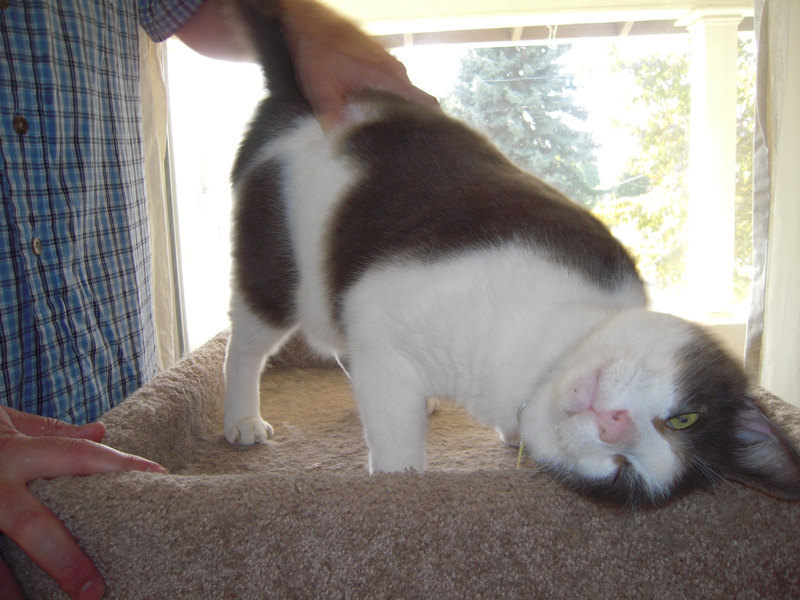 M and the cats move back on Friday, IN THREE DAYS!!! I have a little more than a week after that in the hills with the dog. by Labor Day, it’s aloo back to normal. We’re super excited. In preparation for human and animal creatures living in the house and perhaps wanting to sit on something other than a 5 gallon bucket, we went to Ikea last week. The upstairs is most ready to be put back together, but since we didn’t really have the right furniture for the new space. We found a loveseat and TV stand, both super cheap! Comfy, squishy back cushions for cat who like to look out windows, wide arms for plates, drinks and cats, and darn near perfect for taking a nap on. We’re both looking forward to taking a nap. We moved all the leftover bookcases into The Steamer Room, abd voila! 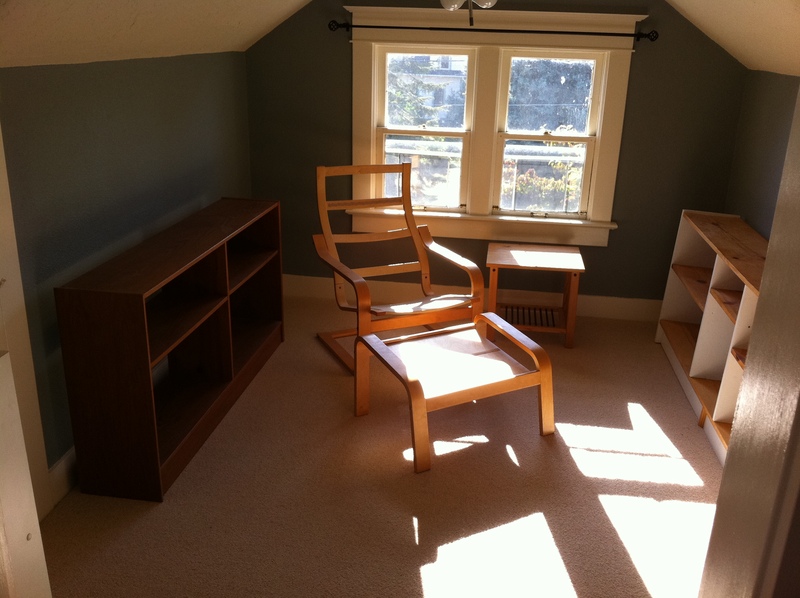 Now, it’s a reading room. Or will be, once we find the seat cushion and books. Someone made a comment to me that we must be really efficient at painting now. And I think we are. It’s time consuming, but we’re in a groove, and it doesn’t take us long to gather up everything we need at the start or clean up at the end of the day. In particular, we keep a bucket of paint thinner in the utility sink and, after healf heartedly cleaning the brushes, we drop them in the bucket and leave them. They’re totally fine by the next day. Also, I never clean roller brushes. 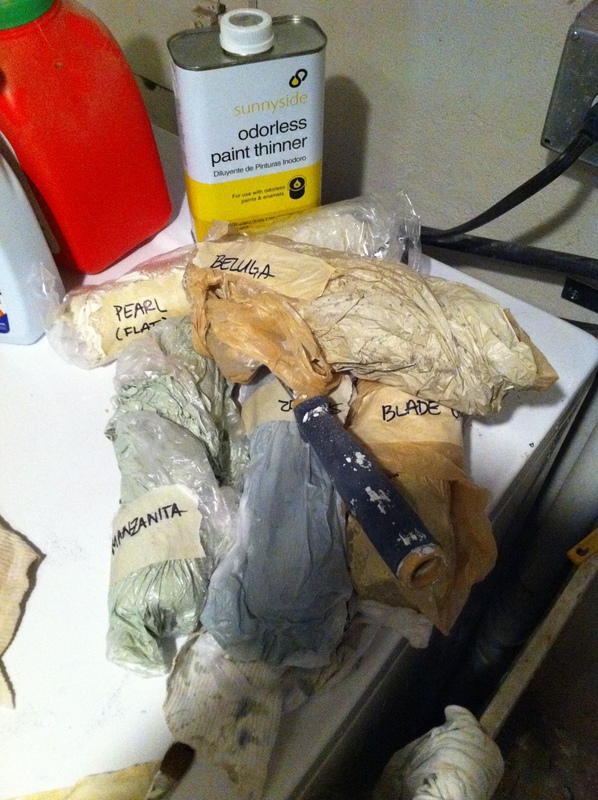 Someone shared the tip with me to wrap them tightly in plastic and keep them in the refrigerator to use them the next day, Well, since our refrigerator is still unplugged, we just wrapped them in plastic and left them out. It turns out they’re not just the next day, but even a week or two later! So, the moral of the this story is: don’t waste time or water cleaning roller brushes. I’m a little behind on updates. We had final inspection a week ago. Pass! Pass! 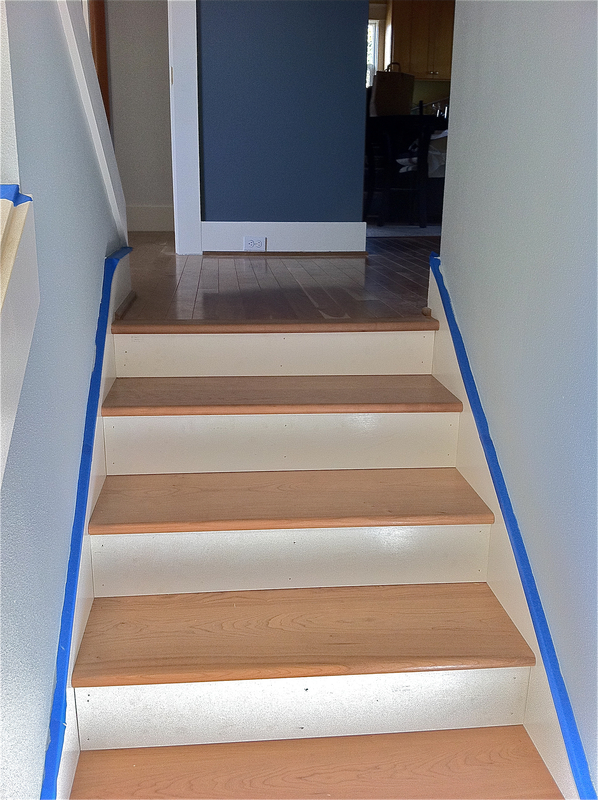 There is one small thing where the inspector wanted something changed, so that is being completed (sloping the header at the bottom of the stairs to match the angle of the stairs). We did a walk-through on Monday with our contractor and architect and signed off. So in theory, our house is done and habitable! Yay! I shall celebrate by opening another beer (Lagunitas IPA — yum). 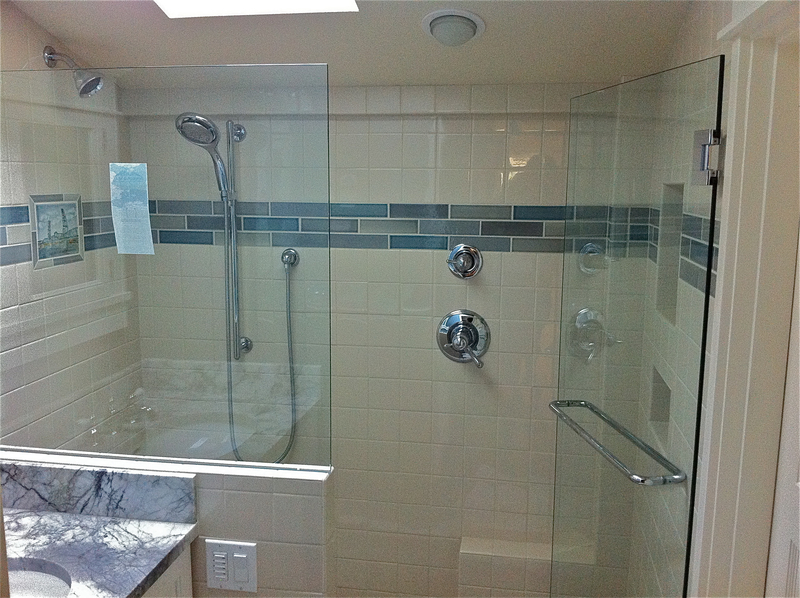 The shower glass arrived, and it looks great. All our subs have seemed to be super careful and precise, and this one was no exception. The guy who wrote up the specs wanted to make sure the towel bar lined up with the top of the tile half-wall, which is a nice touch. These are our only towel bars in the bathroom, so no hogging towels. The other big news is that the floors and stairs are one day away from being completely cherry-clad. 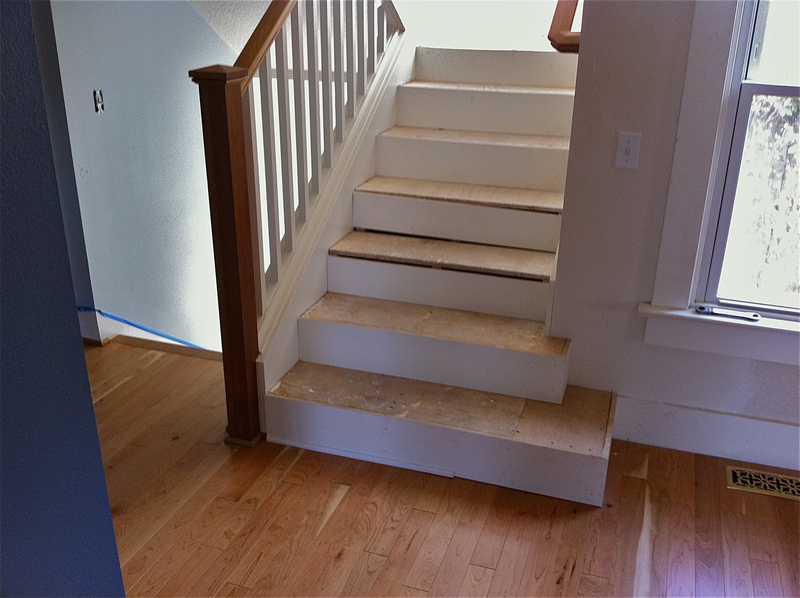 The floor itself is all laid, the lower stairs are done, the upper stairs just need treads, and the landings need to be installed. We’re also adding quarter-rounds on the treads to solve a small spacing issue. That’s it! 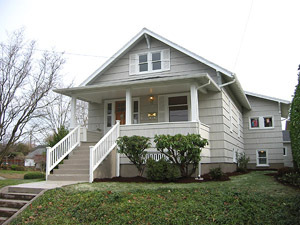 Then our house is really done. Except painting, of course. The cherry looks great and has lots of good character! They will cure over the next few months to couple of years, darkening into a deeper, redder color. They’re so solid too. I didn’t realize how used to the “spring” in the fir floors I’d become. It was a little funny to walk across certain parts of the floor, without an added bounce in my step. Why, yes, we are still painting! It’s gotten more tolerable now that most of what remains is topcoat or touch up. At this point, the upstairs is very, very close to completion. 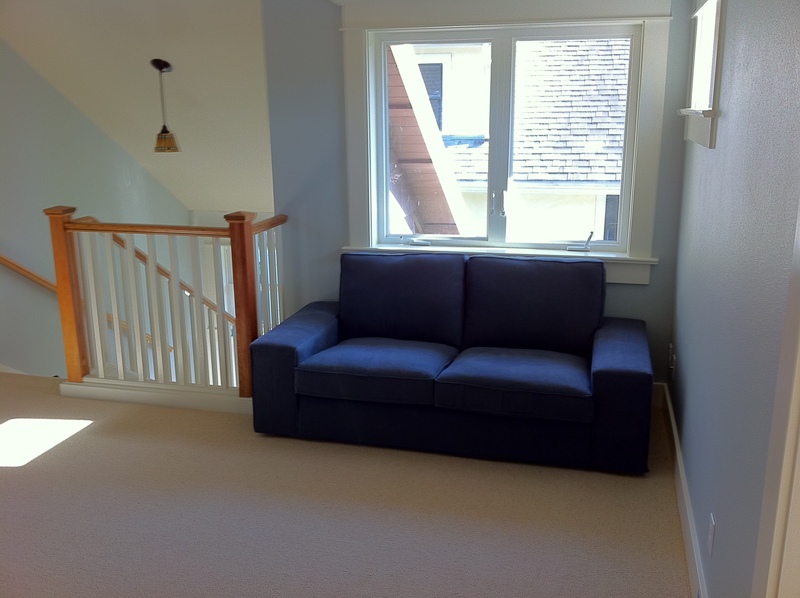 That space under the window is 84″ wide, so I am now on the lookout for a not-outrageously-priced couch or loveseat to go there. It has to have squishy back cushions because the cats have made it quite clear that they prefer squishy couch cushions in front of a window. We decided to move the TV up from the living room to this room. 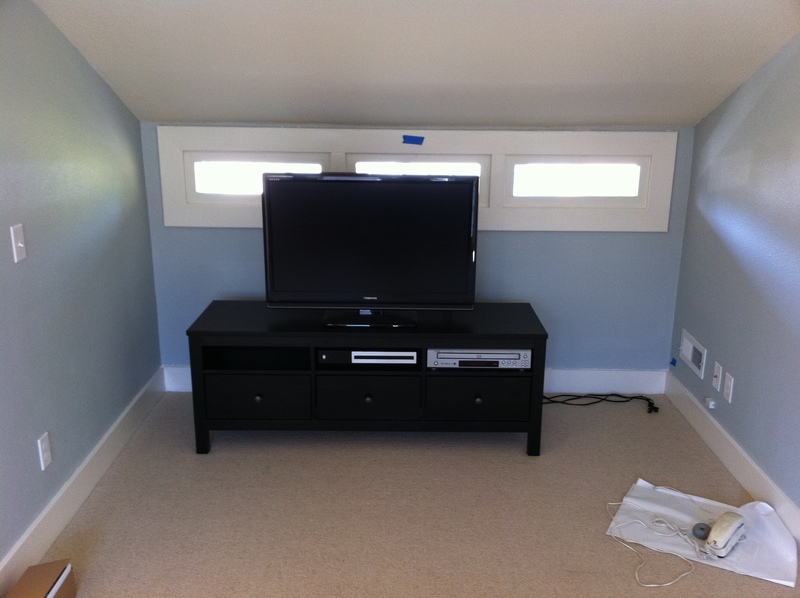 Now that we’ve gotten used to the 60″ TV at our housesitting gig, we’ll have the evaluate whether a 37″ TV will do. I’m not ashamed to admit that I love TV. The Purple Room is no longer purple. 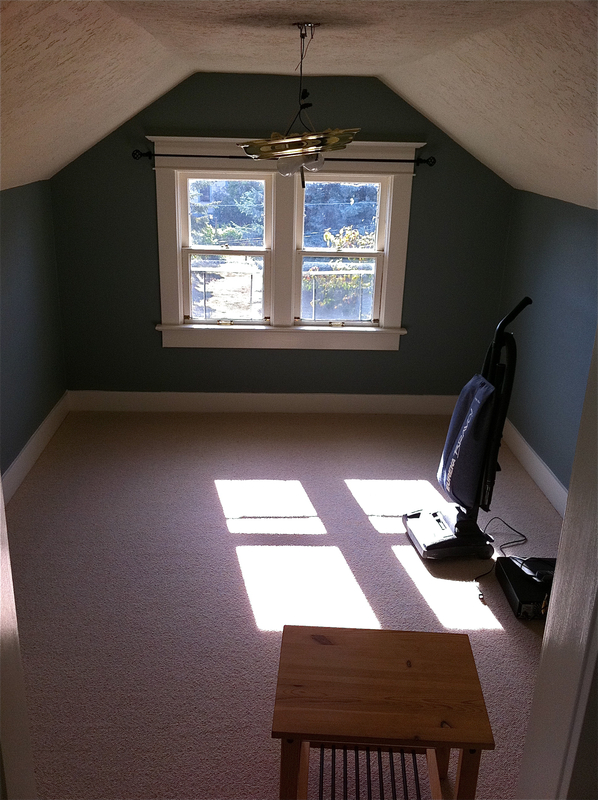 It shall now be known as the Steamer Room, which is the color it’s painted. Also fitting because it’s the hottest room in the house in the summer. Mmm, steamy. And, now, whether we deserve it or not, M and I are taking TWO WHOLE DAYS OFF. This is so we can drive 3 1/2 hours and back for a family party (Happy Birthday, Mom and Schwestie!). The drive actually sounds nice and relaxing, and we’re looking forward to the weekend. And as a random final side note, I checked the blog stats to see what internet searches led people to the blog. I’m pleased to note that one search was for “ceiling fan ‘not ugly’“! There are others who share my pain! Perhaps the most perplexing one, though, was “inside dumpster.” Hmm. I hope they found whatever it was they were looking for. Our dumpster was not inside. The weekend finally felt like we made a lot of progress. The carpet went in on Friday. A little unexpected, but when there’s a hole in the schedule, you take it. We stayed up late Thursday to finish the first coat on all the trim and to clean up the upstairs. I think it looks pretty good, don’t you? Next up was the mudroom. We didn’t really plan on blue walls when selecting the blue floor, but I think it will work fine once we get the rest of the stuff in there. 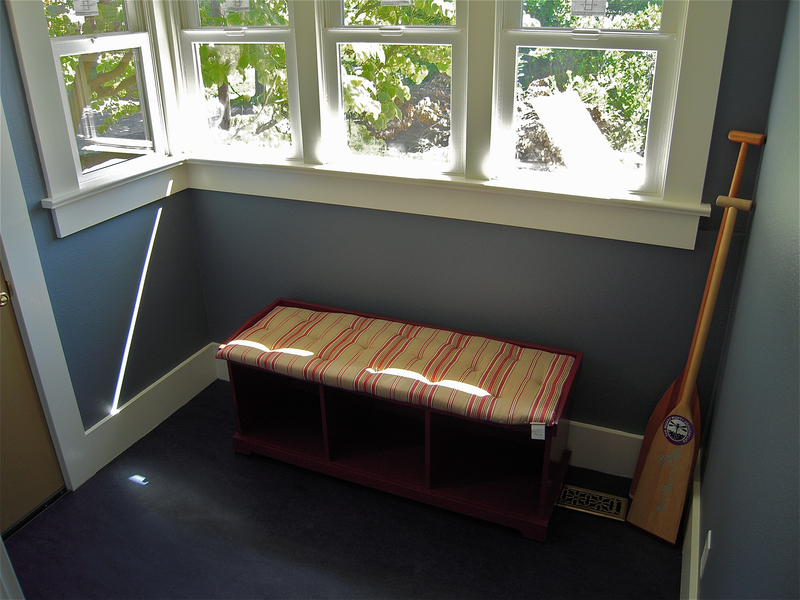 I think I’ll redo the bench cushion in something with white, red and/or blue in it. 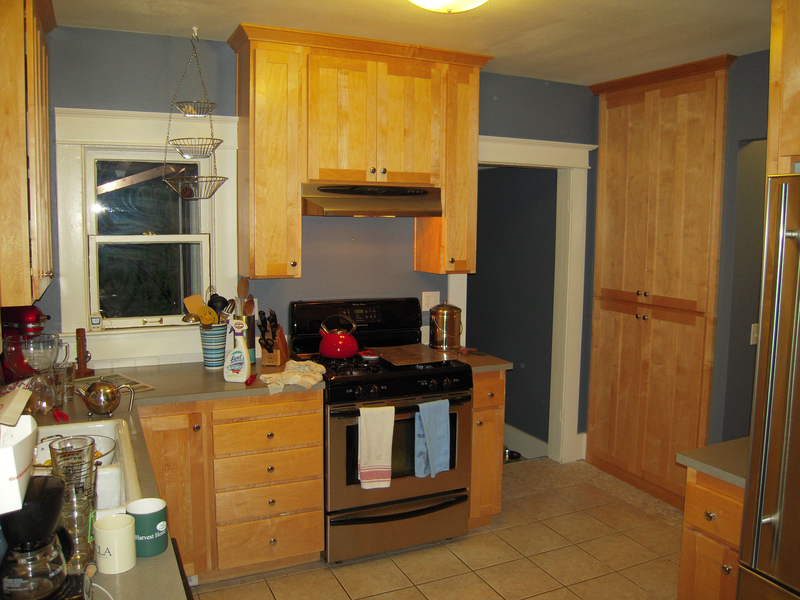 This is the color our kitchen will get changed to … eventually. Saturday afternoon, we rented a UHaul to move our remaining stuff (furniture and some kitchen things) back from H&J’s. With the truck, it was just one load. Lots of stuff scattered about now, but at least it’s looking more like a house in disarray than a construction zone. 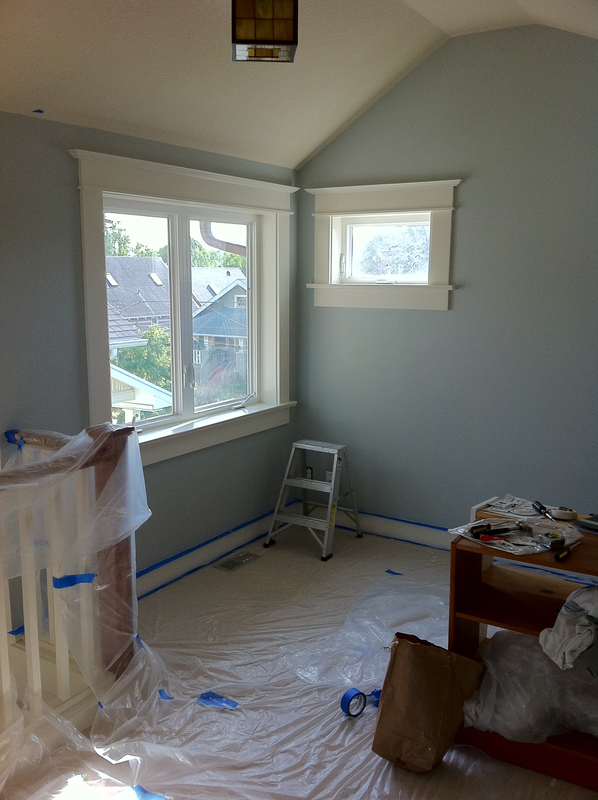 Today, M did more trim work and I continued painting blue. Another Devine “rule” is to only change corners mid-room at an inside corner. 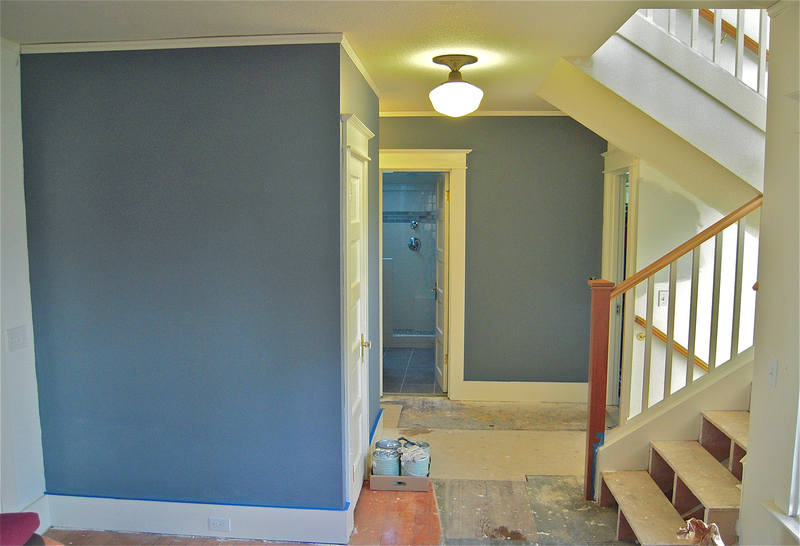 So that’s how we ended up with these parts of the hallway/living room blue. 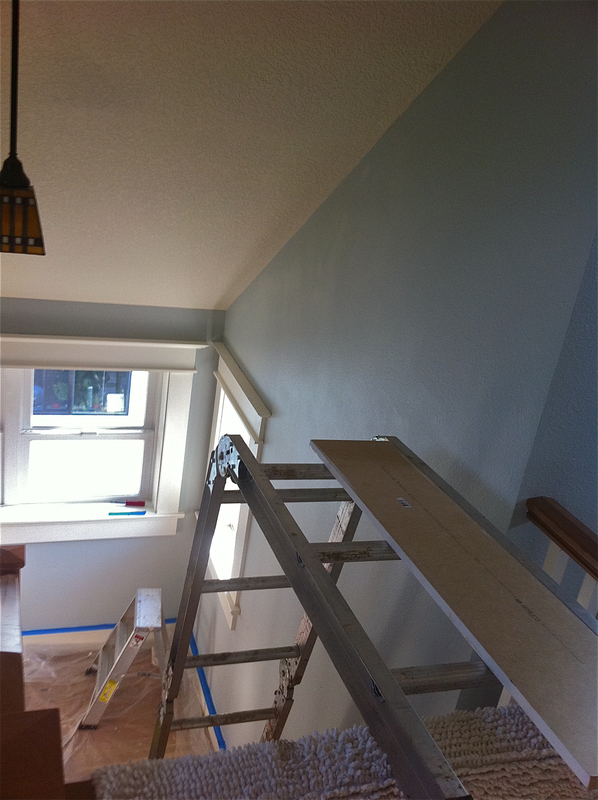 The remainder will be a grayish color — you can see a swatch on the wall in the stairwell. 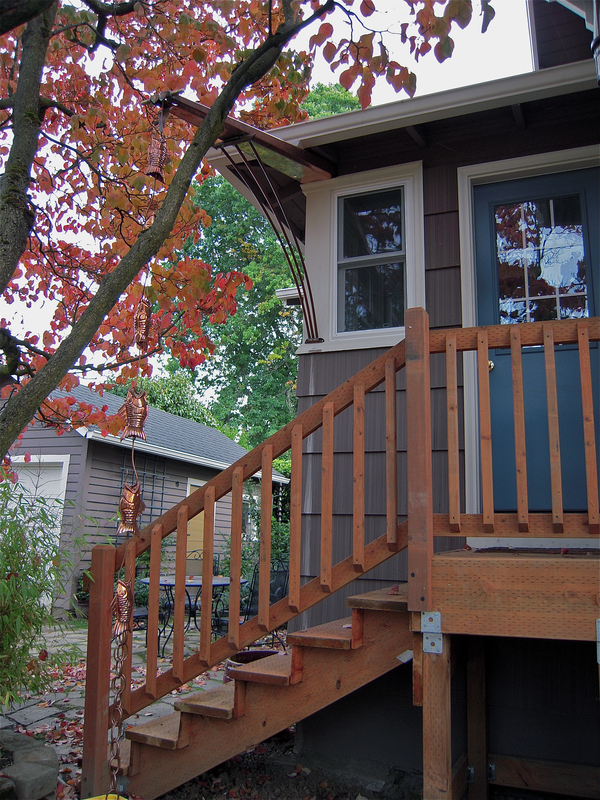 Last but not least, M finished his outside stairs last week. 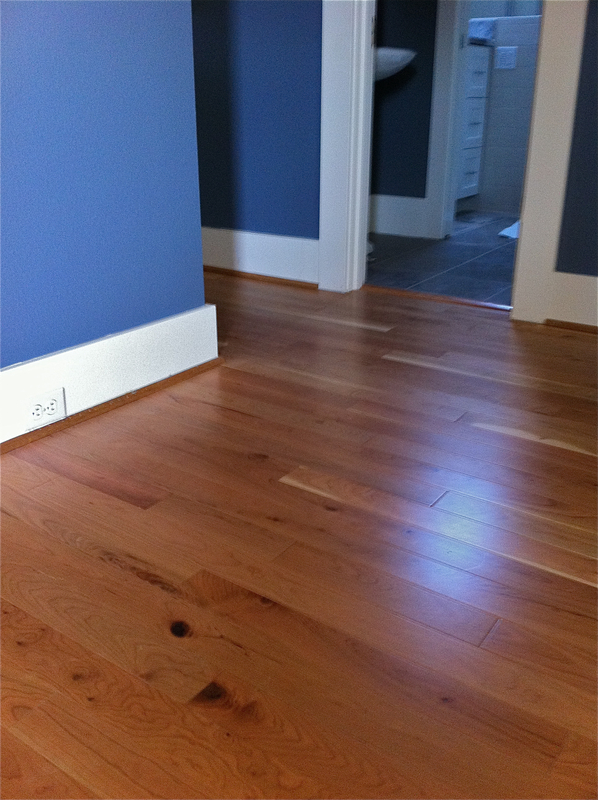 They look great, and our contractor thinks they will pass inspection! Once they pass, M will do a little more sanding and finish work and then stain them. Perhaps the best part of the weekend is that we finally managed to pace ourselves enough to visit a few of our favorite haunts in the neighborhood, see and chat with several neighbors and hang out with a friend this evening. Back home 5 weeks from today! The carpet is going in tomorrow! So much for my plans to paint the upstairs this weekend BEFORE the carpet goes in.